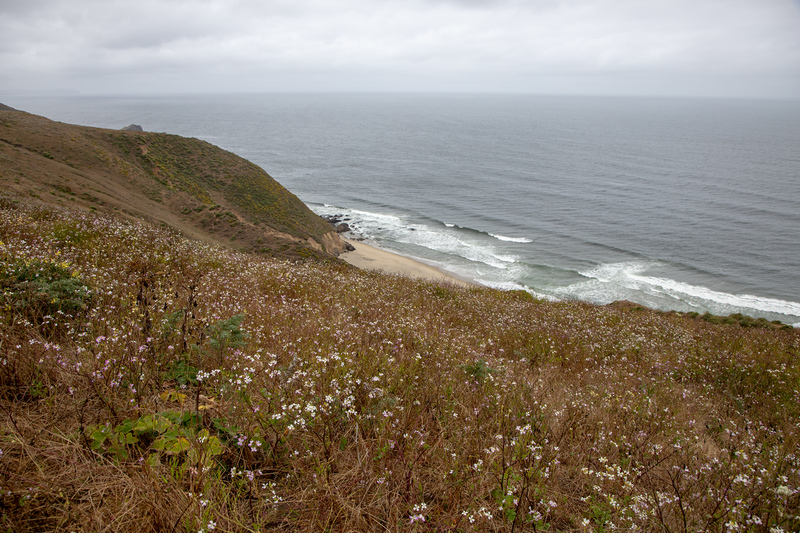 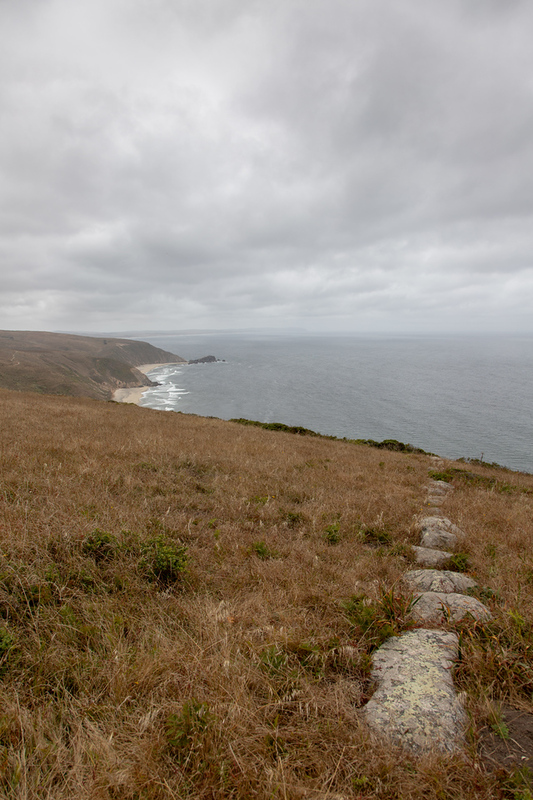 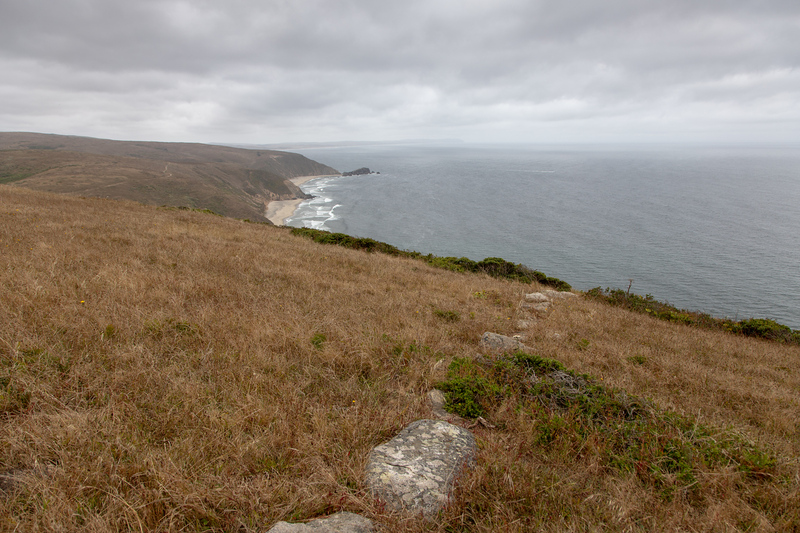 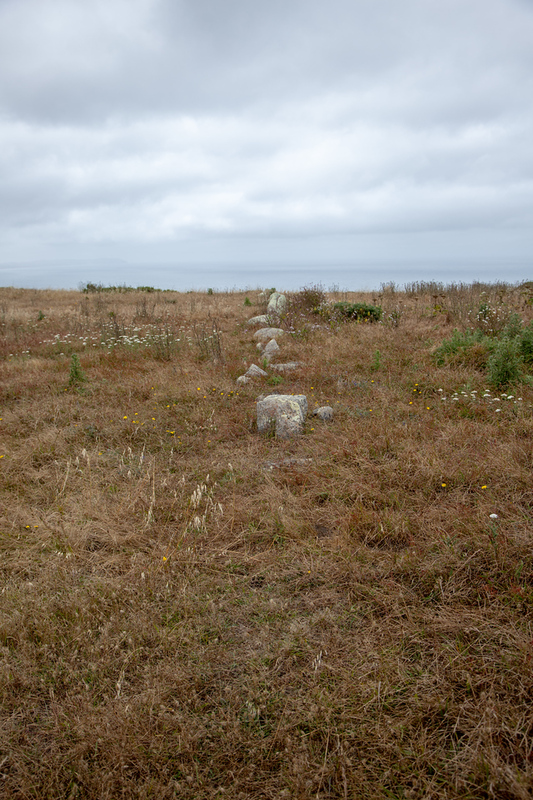 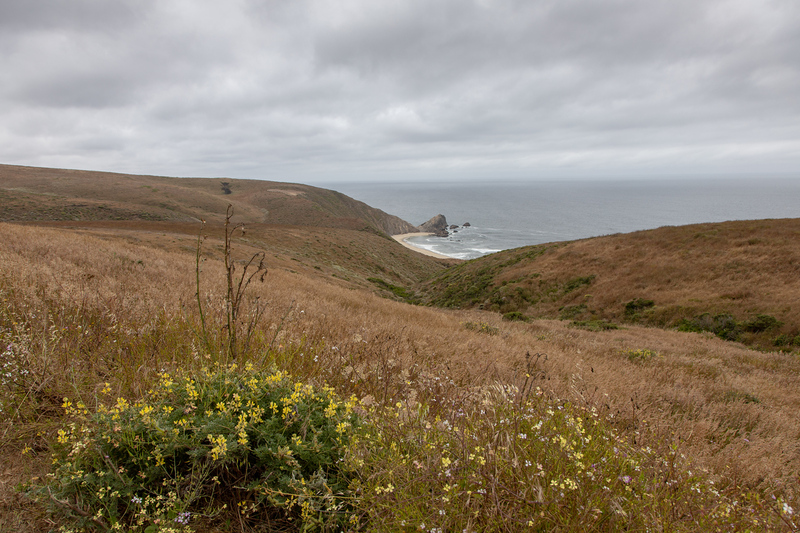 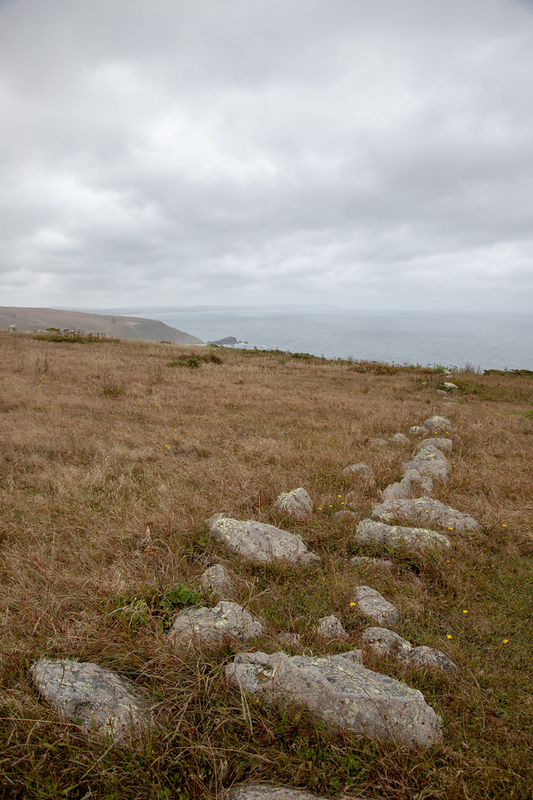 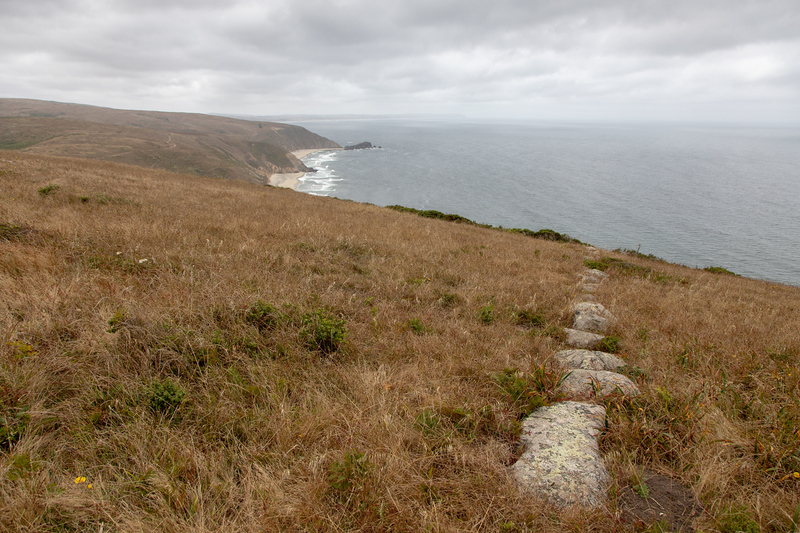 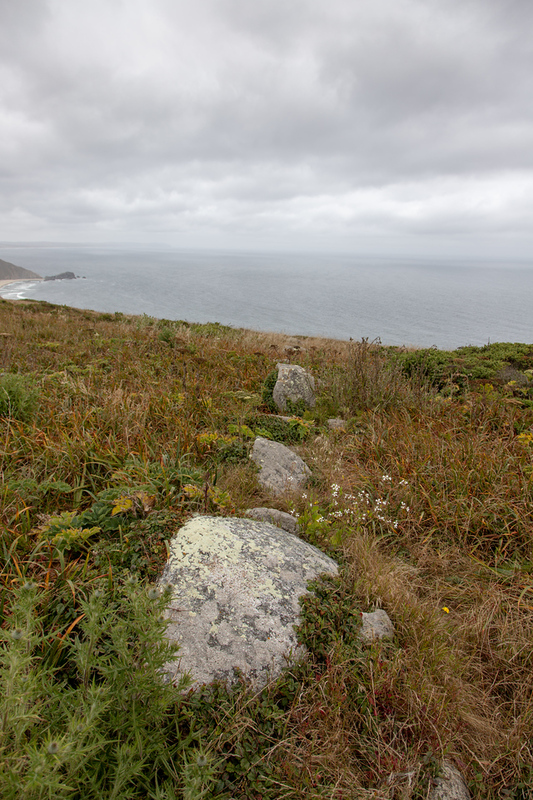 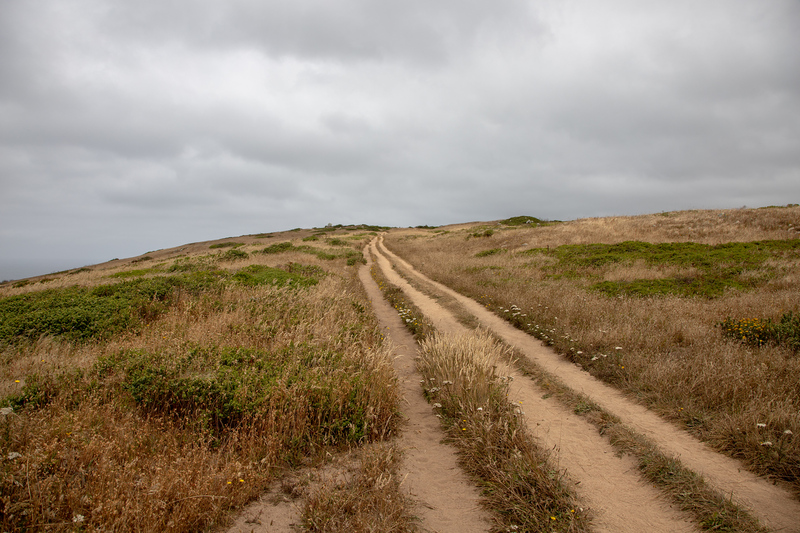 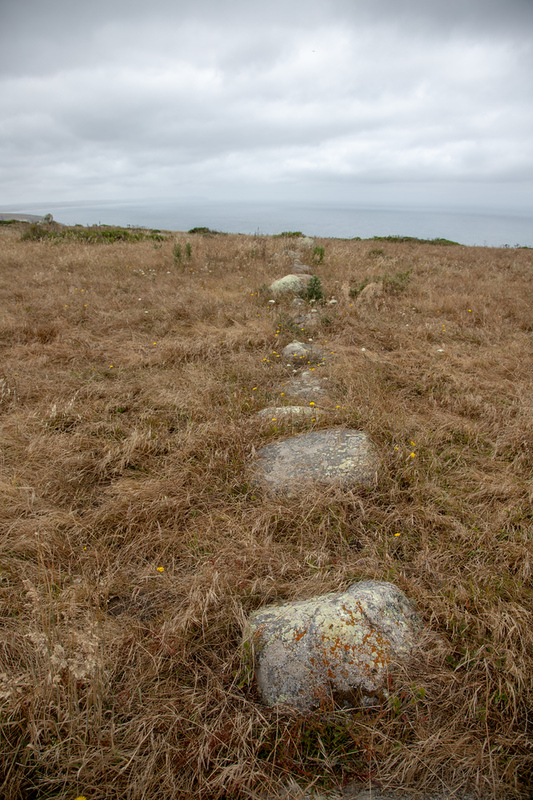 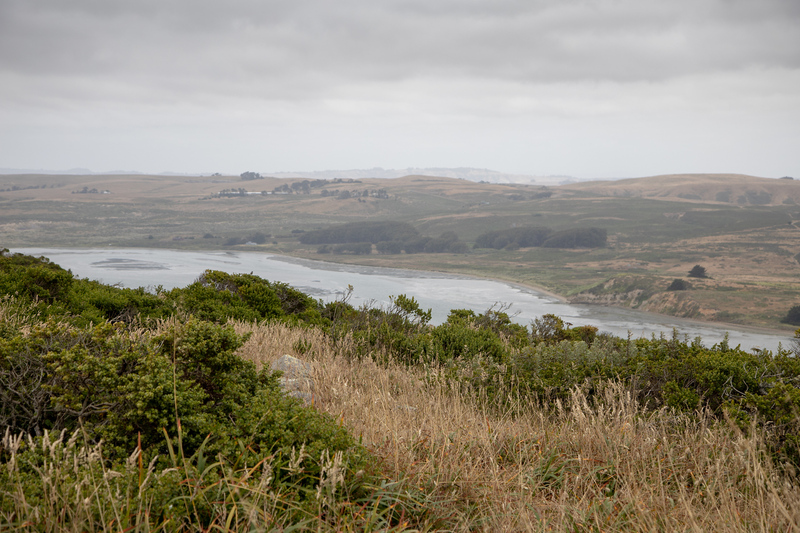 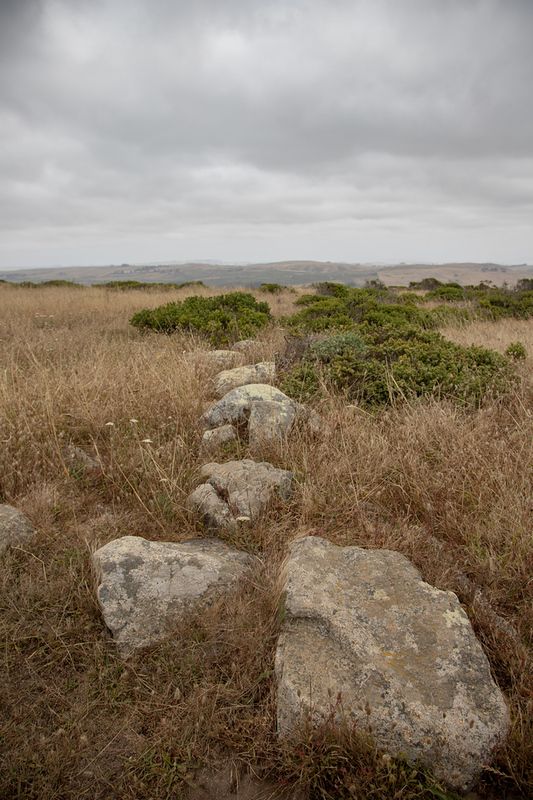 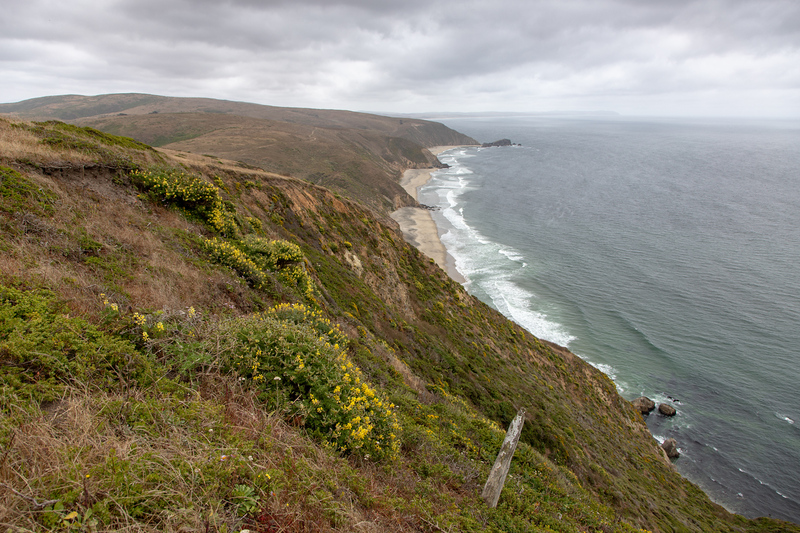 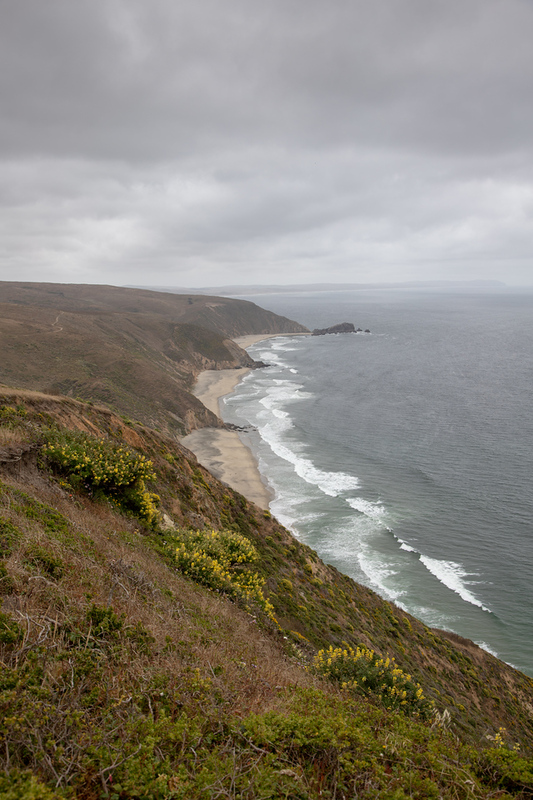 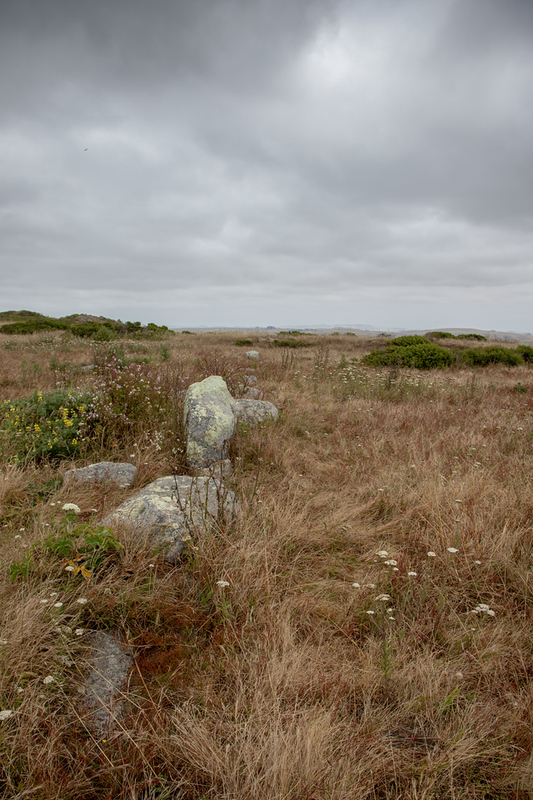 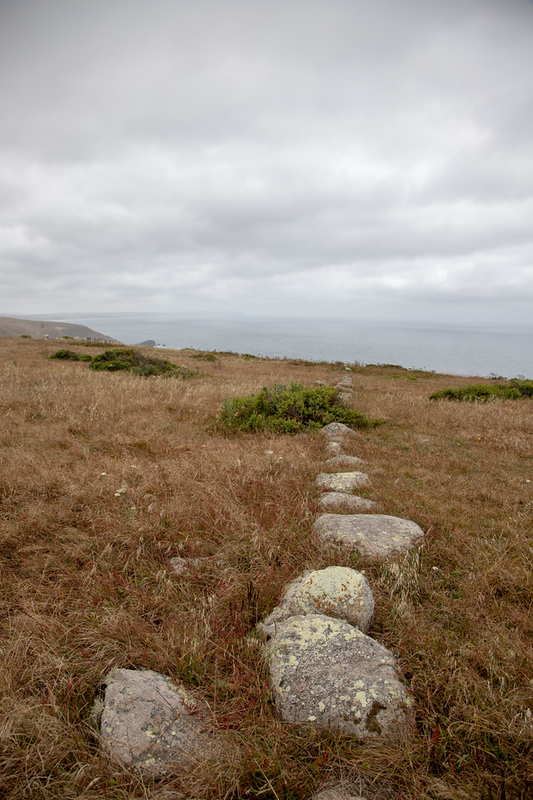 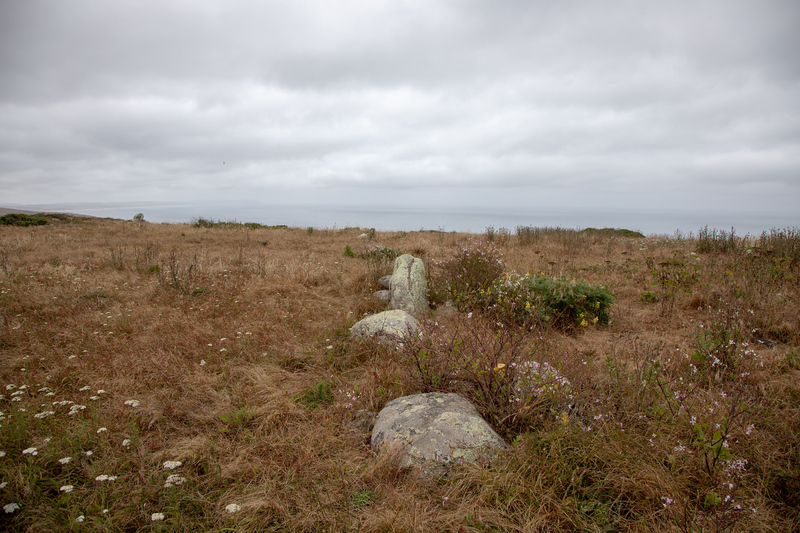 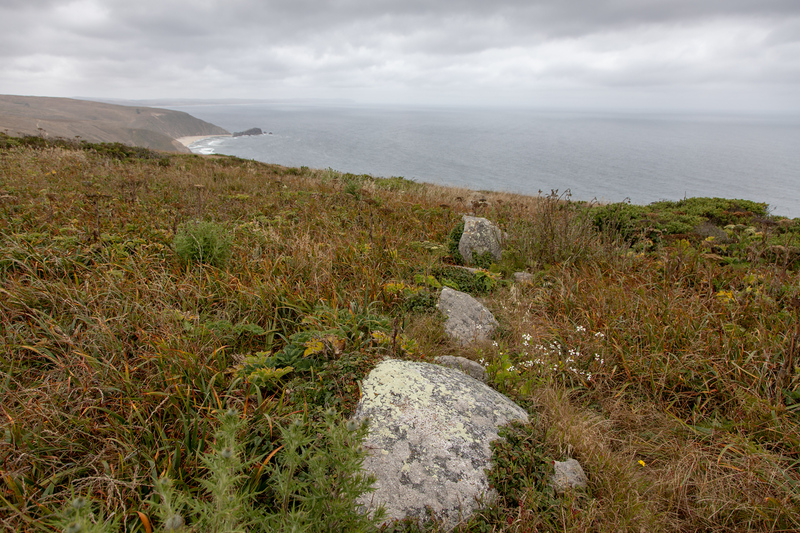 Out on the northern peninsula of Point Reyes is an ancient Native American rock alignment. 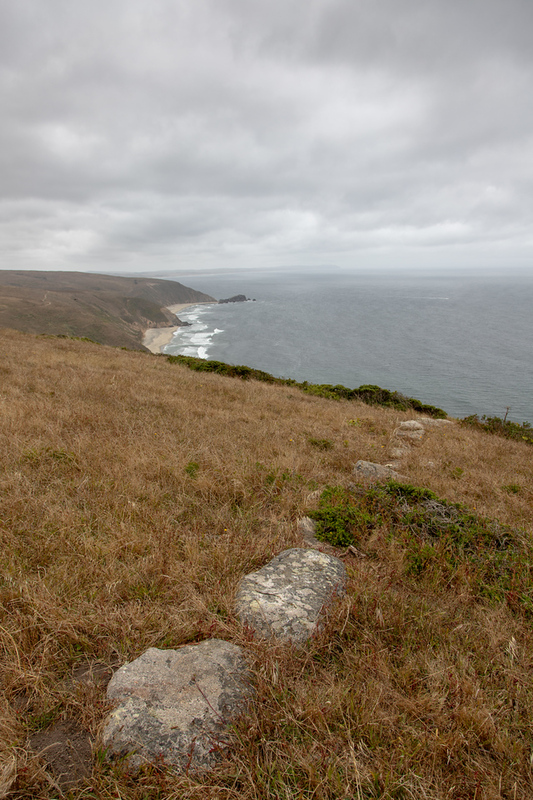 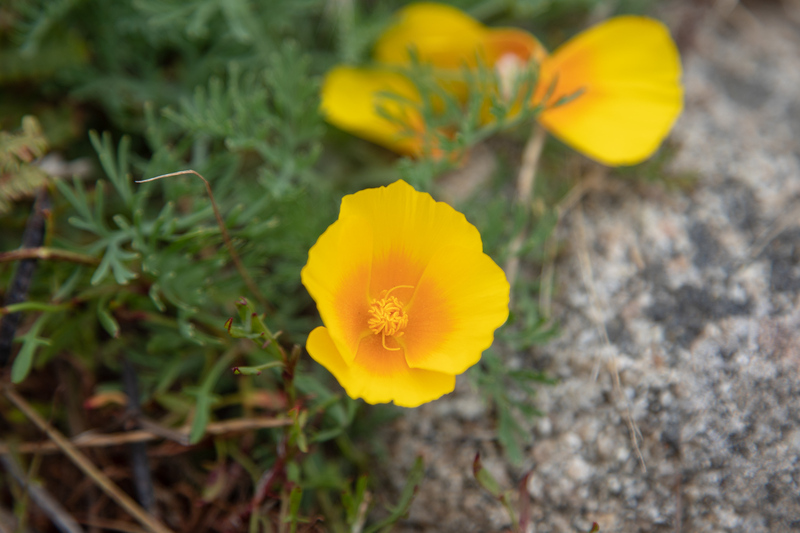 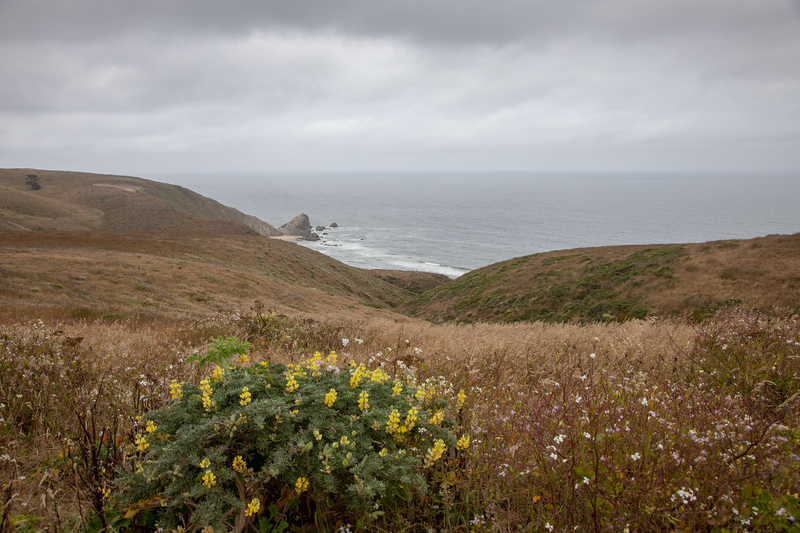 The Coastal Miwok tribe, whose ancestors are believed to have built it, call it the “Spirit Jumping Off Rocks”. 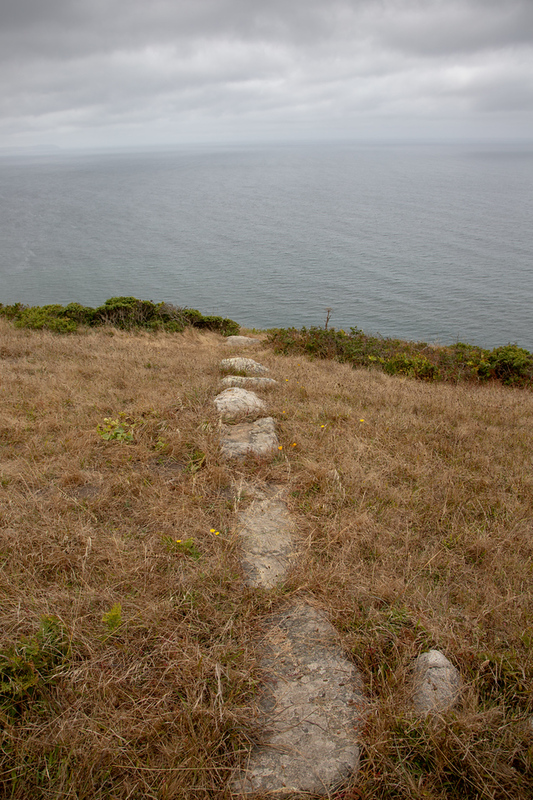 In a place where there are few other rocks, a straight line of rocks crossing the top of the entire peninsula is pretty unusual. 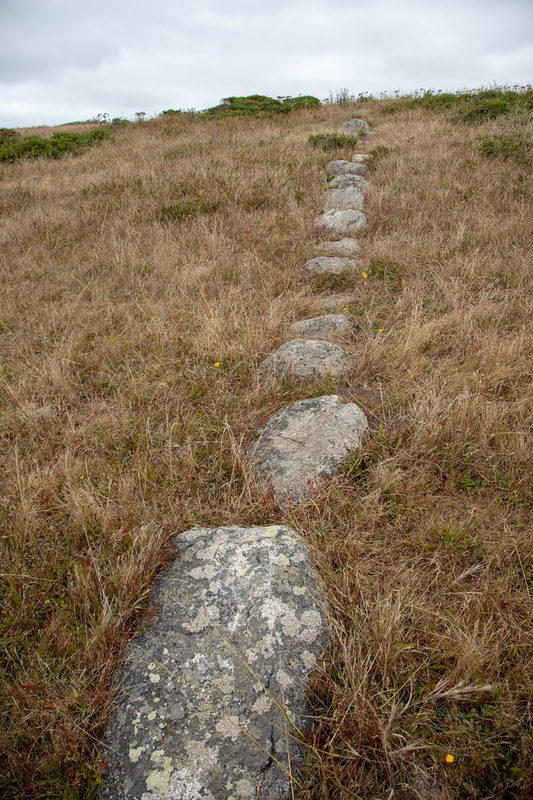 The east end (inland side) points to Mt. 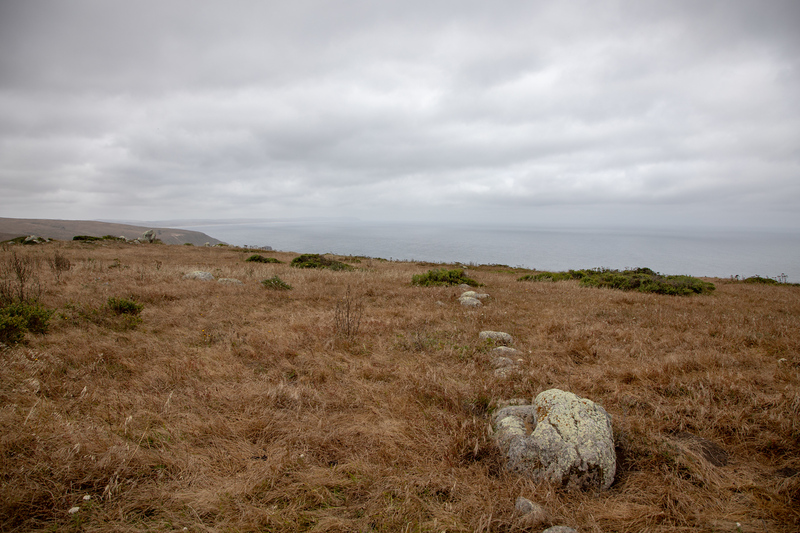 Saint Helena near Calistoga and the western end towards the Farallon Islands. 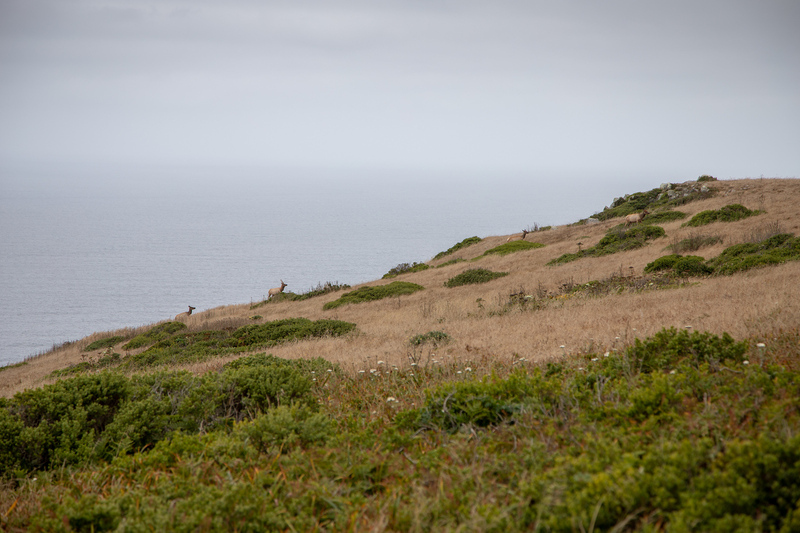 Both about 35 miles away in each direction. 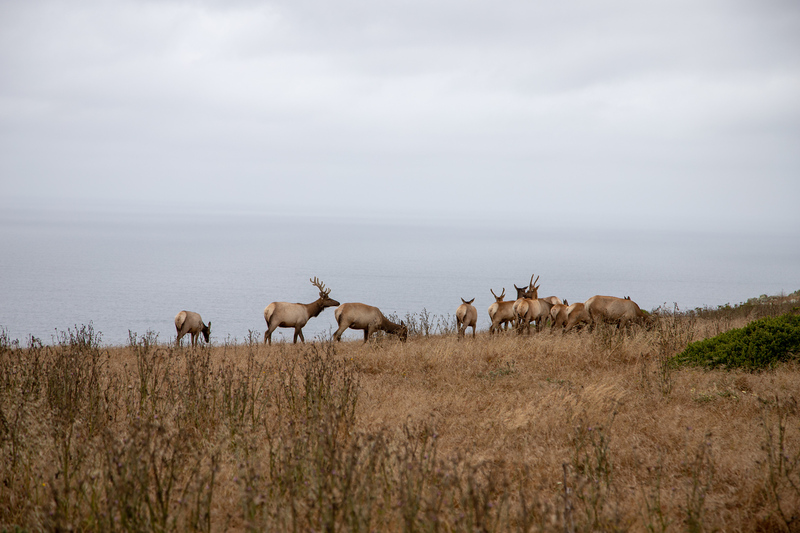 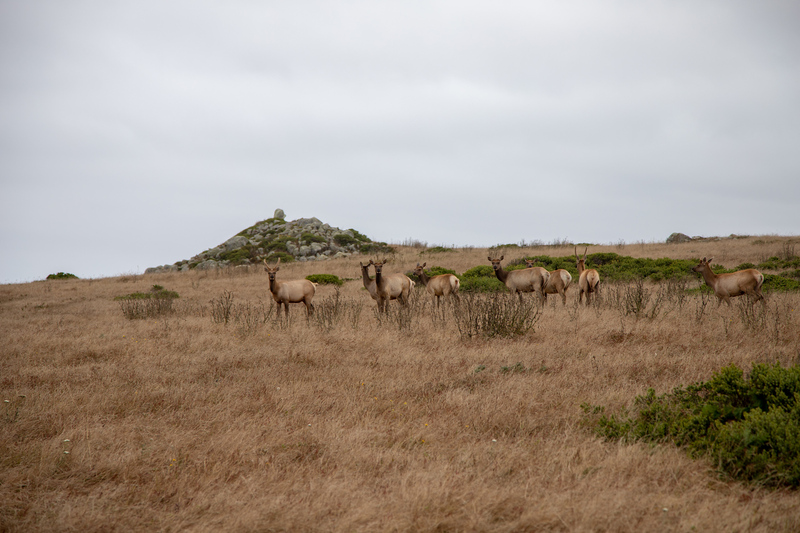 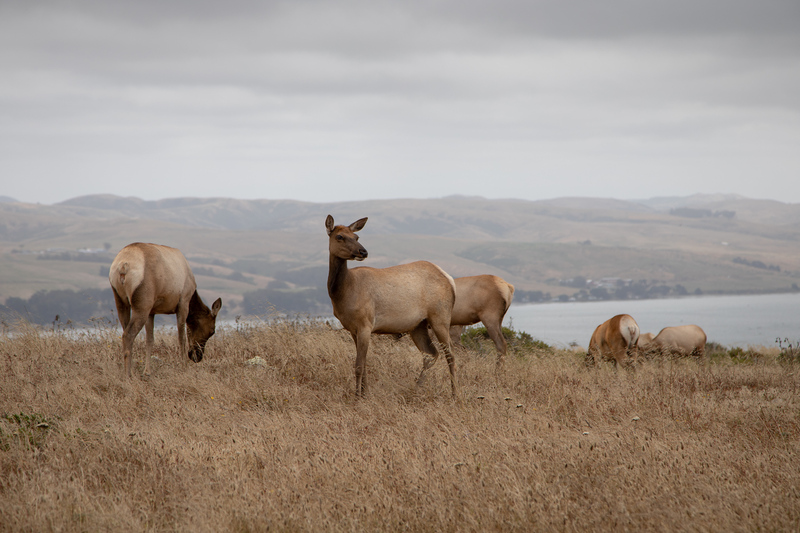 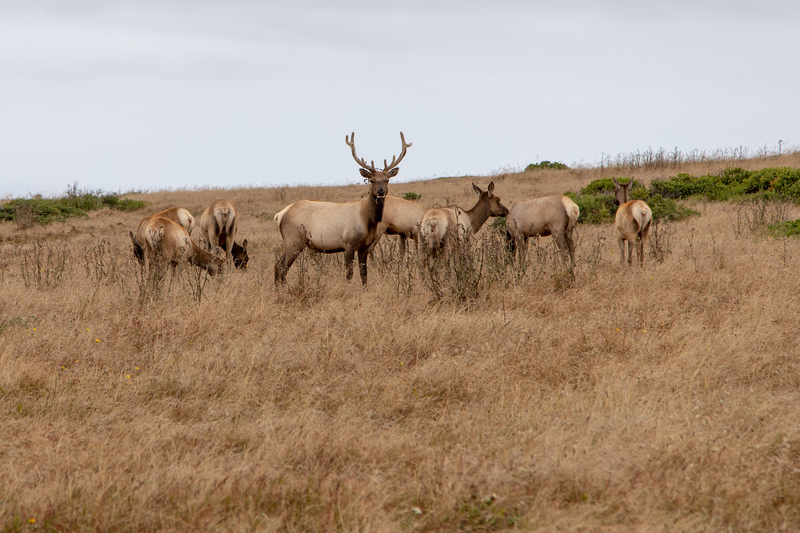 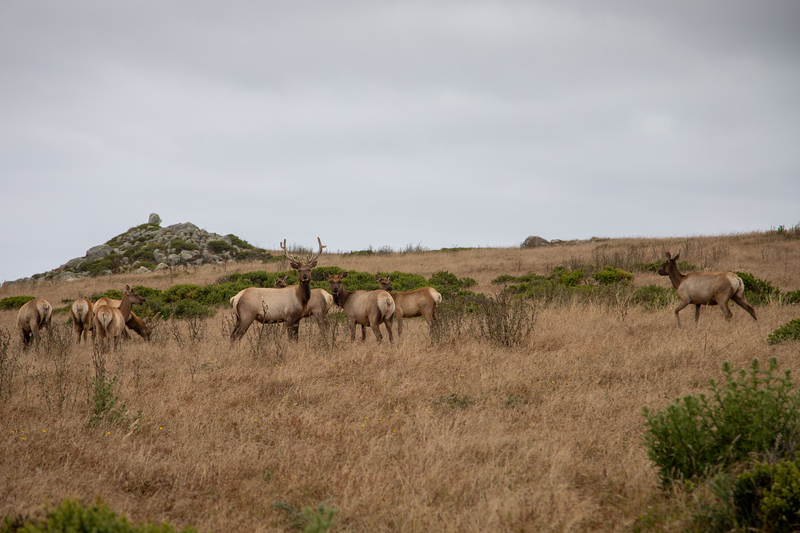 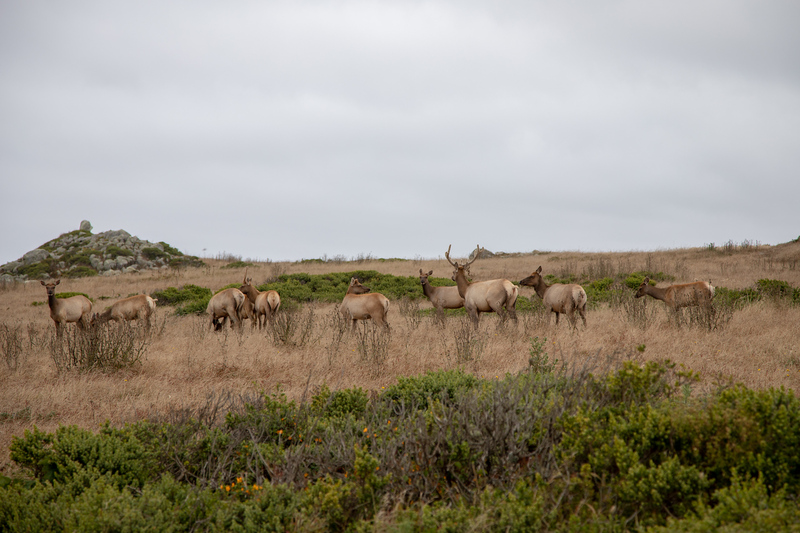 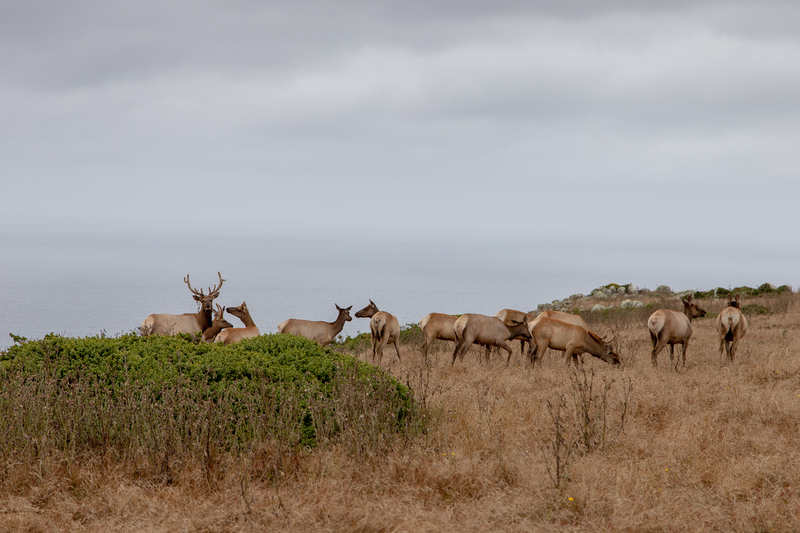 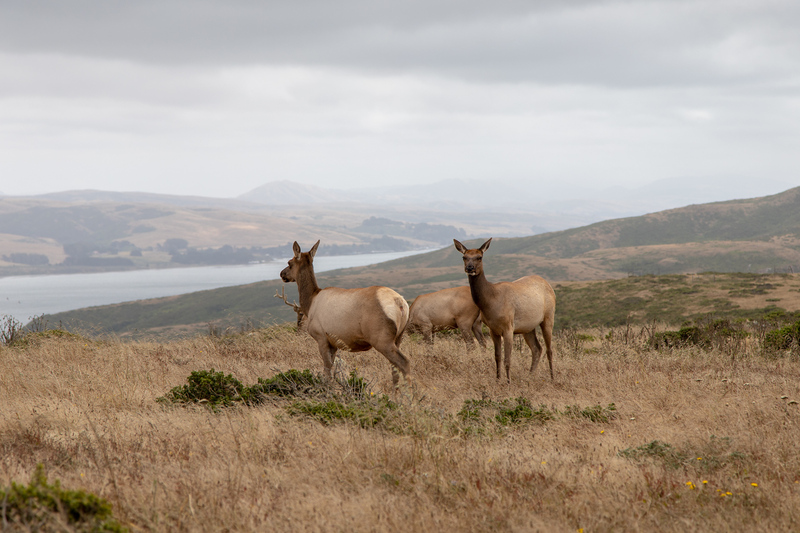 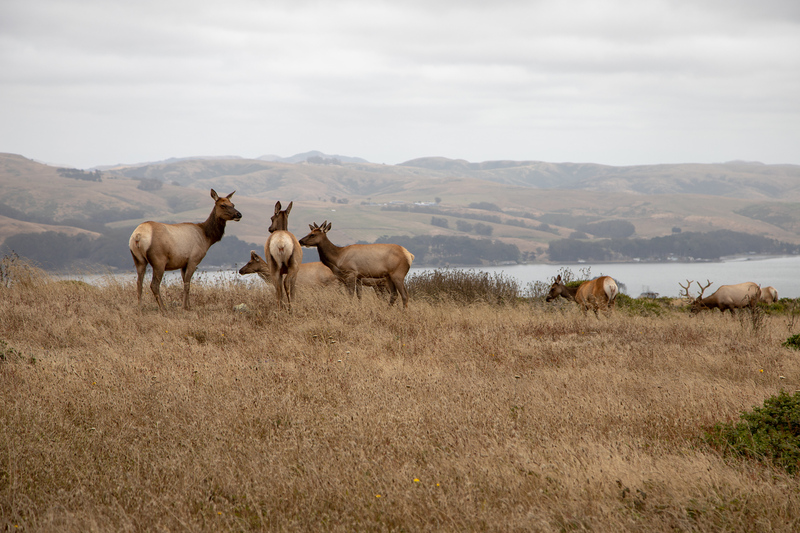 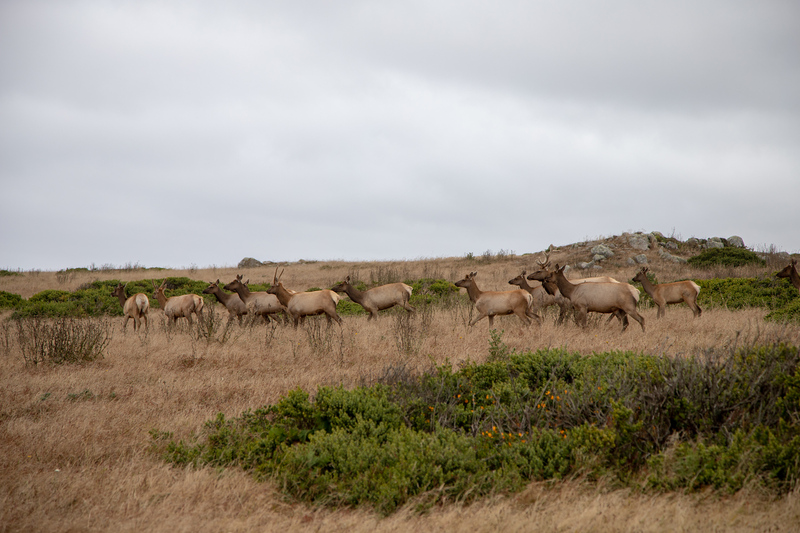 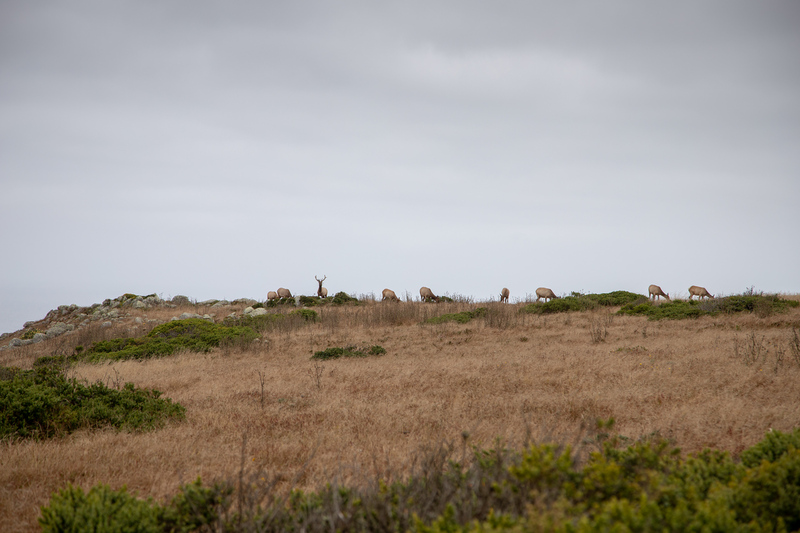 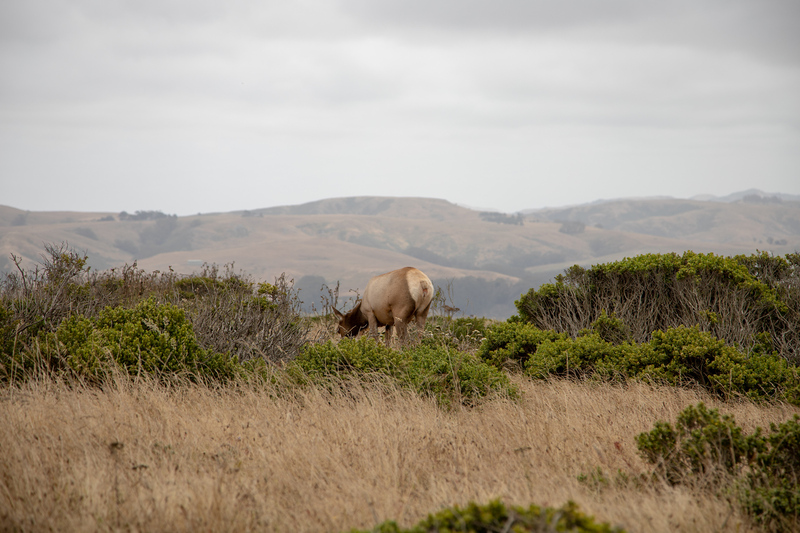 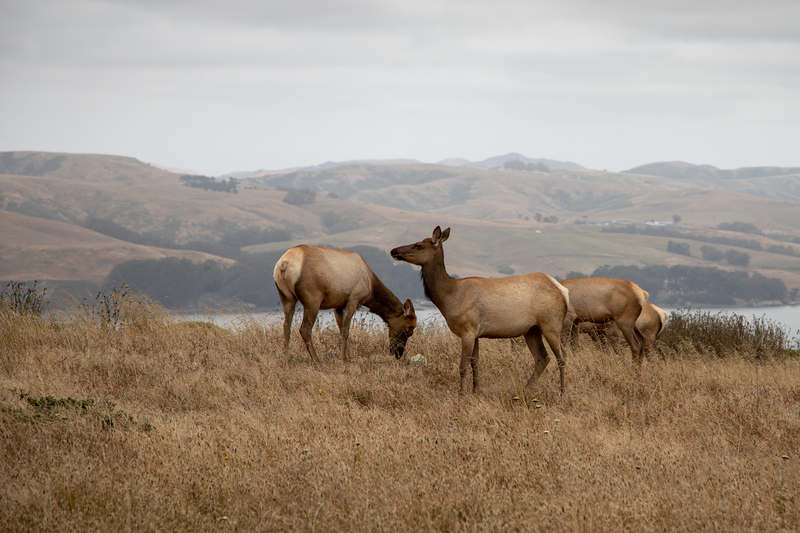 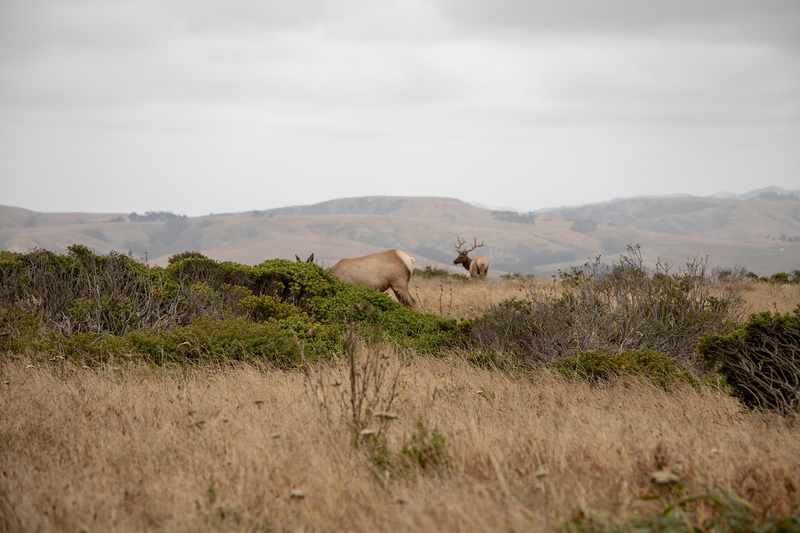 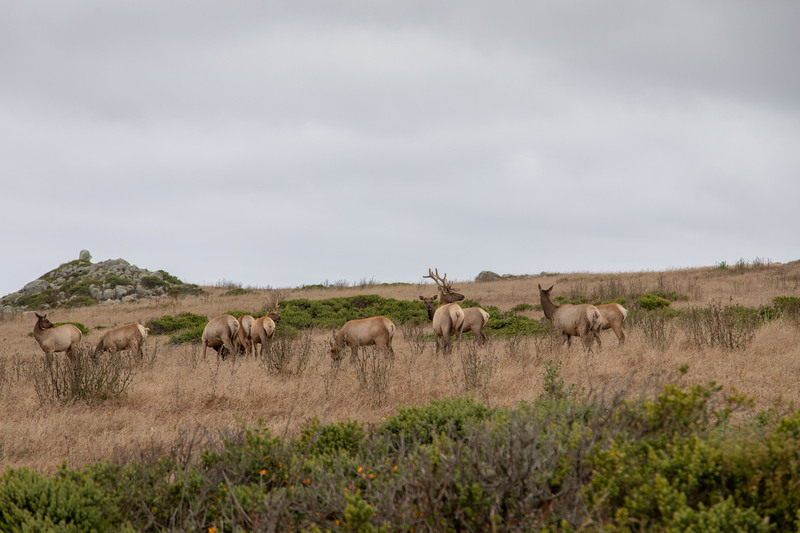 There also happens to be some Tule Elk here. 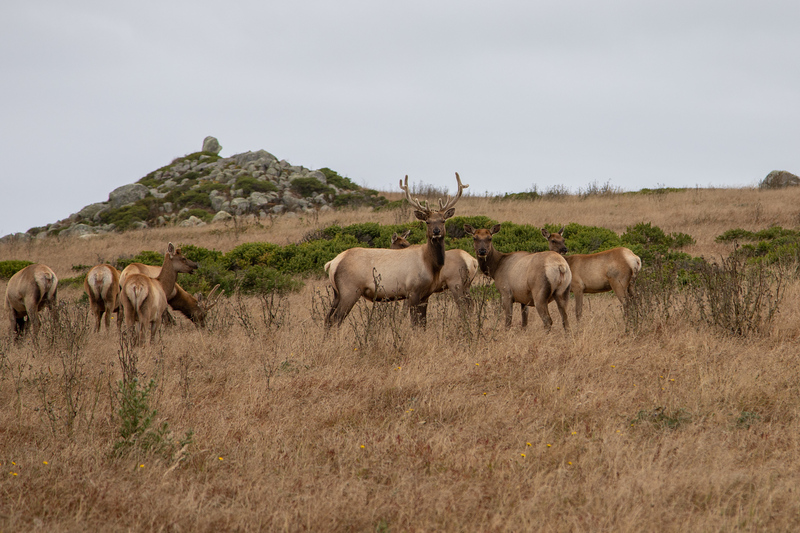 It was amazing to be so close to them. 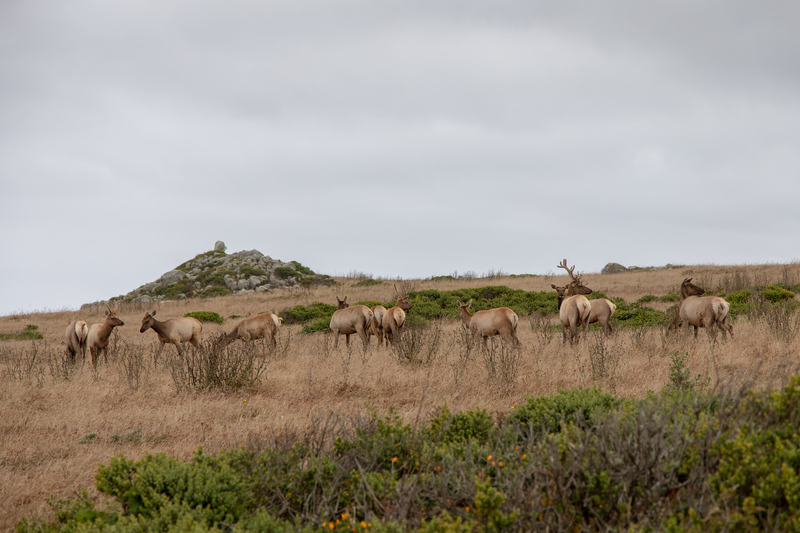 I spot some Tule Elk. 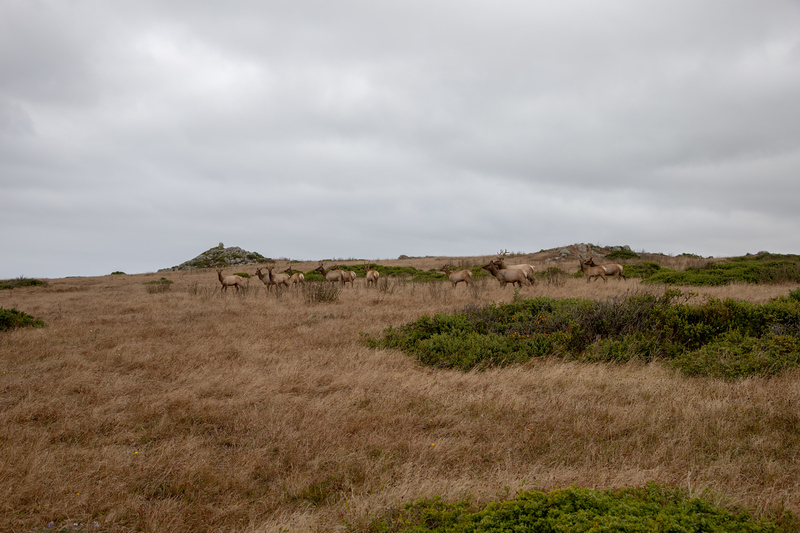 There is a whole herd of elk over there. 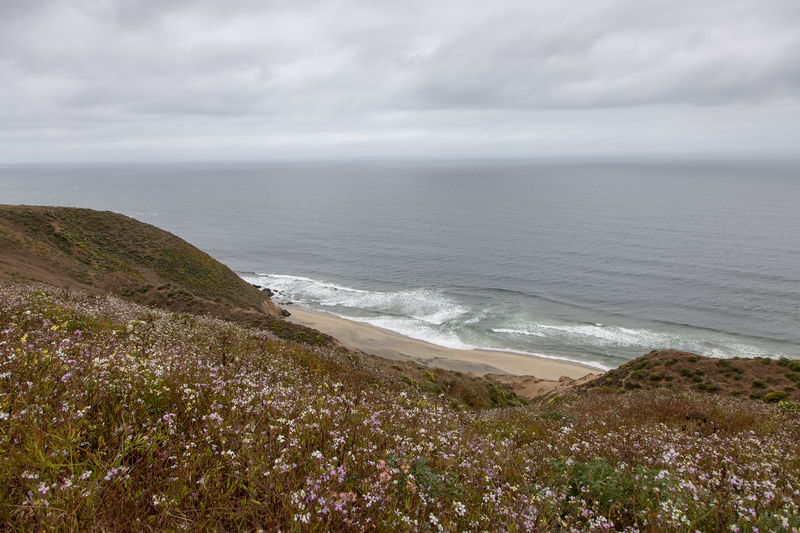 This is an amazingly peaceful place. 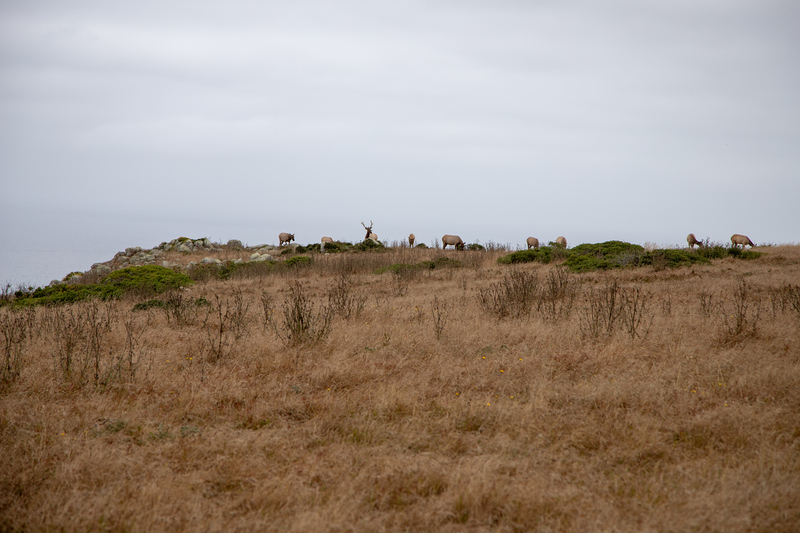 The herd snuck up on me while I was photographing the rocks.